We're very pleased and excited to announce that this weekend we'll be releasing 2018 SPON Raspberry & Cherry! 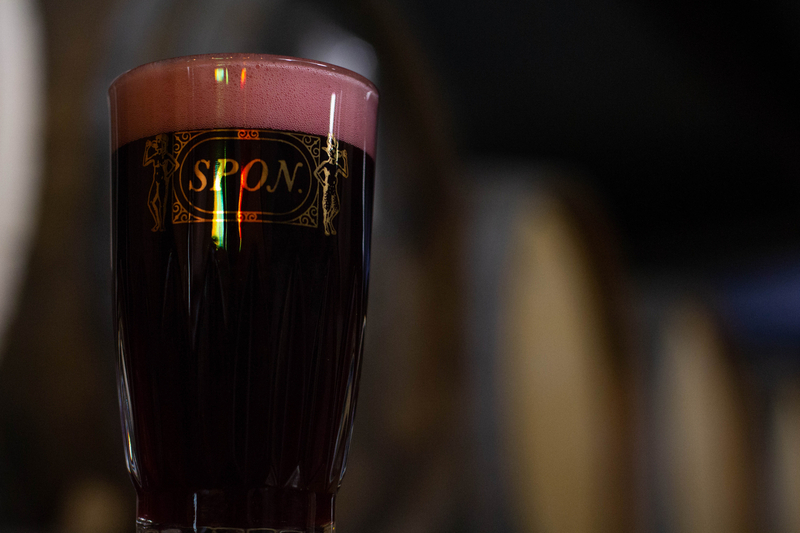 2018 SPON Raspberry & Cherry is a blend of one, two and three year old 100% spontaneously fermented beer refermented with raspberries and cherries. For our 2018 blend, we selected two puncheons of SPON from 2014, two puncheons of SPON from 2015, and one 225 liter barrel of SPON from 2016. 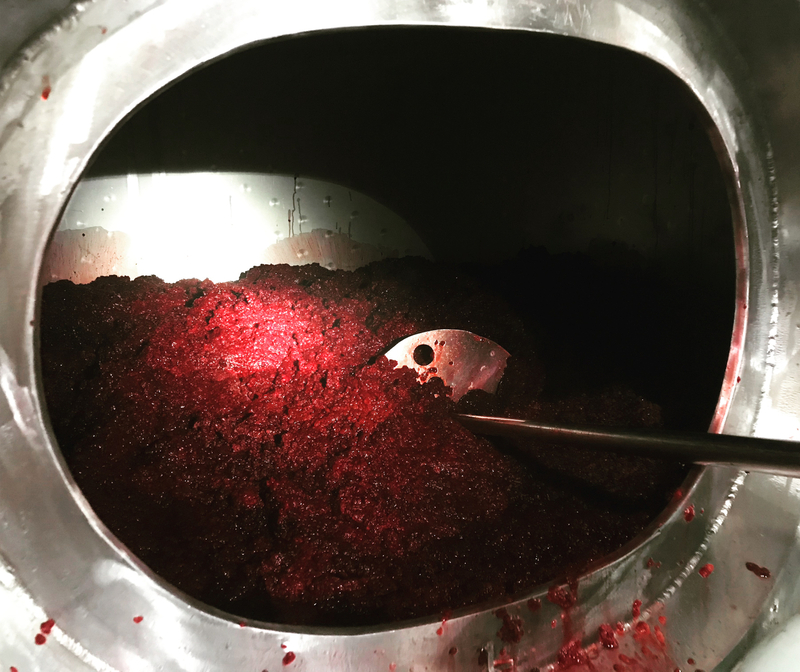 After creating the blend, we refermented it with 960 pounds of raspberries and 840 pounds of Balaton cherries. According to our Head Brewer Averie Swanson, the cherry character of our 2018 blend is more prominent compared to our 2017 blend. Our SPON beers are 100% spontaneously fermented. We combine Texas malted barley and raw wheat in a turbid mash, boil for four hours with aged hops from our barn, cool and inoculated the wort overnight in our coolship, and 100% spontaneously ferment in oak barrels (no yeast or bacteria added). After blending and fruit refermentation, we 100% naturally condition in bottles and kegs. Our SPON beers are inspired by the old world tradition of Lambic, but are an expression of our own time, place and people. Our 2018 blend is 5.4% alcohol by volume and was packaged in June of 2018. It is our third-ever blend. The beer took nearly four years to make with the oldest component of the blend coming from 2014. It will be available at our tasting room starting Friday, September 28th at 4pm by the glass and in bottles to go. We'll have about 3,200 bottles available (375ml/$25) with a bottle limit of four per person per day. 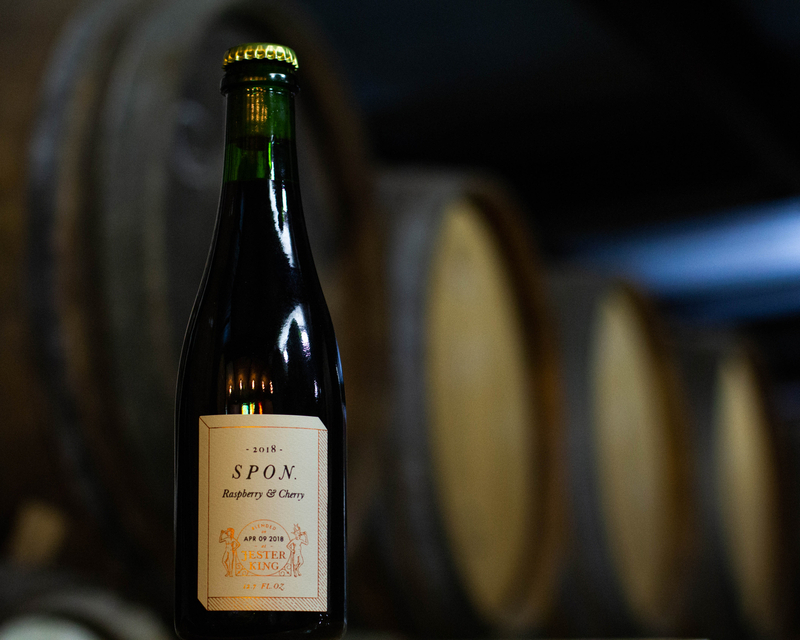 2018 SPON Raspberry & Cherry will only be available at our tasting room and at special events. We hope you enjoy this special blend, and we look forward to pouring it alongside our Zwanze Day festivities this weekend! Cheers!